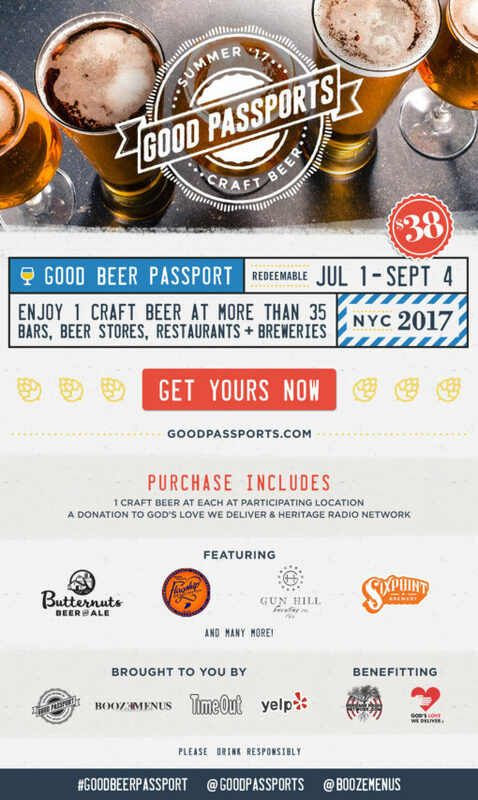 Good Passports, BoozeMenus, Time Out New York and Yelp NYC have teamed up to present The NYC Good Beer Passport Summer 2017 edition in support of July Good Beer Month. By purchasing a Passport you’ll get one full craft beer or a flight of craft beers (where flights are offered) at every location participating. You can use them any day, any time from July 1st through September 4th, 2017. When purchasing The Good Beer Passport, choose the location where you would like to pick up your Passport. Passports are available for pick up from July 1st through September 3rd, 2017. While you’re enjoying the Good Beer Passport you’ll get to try all kinds of great craft beer including local greats Butternuts Beer, Flagship Brewing Company, Gun Hill Brewery & Sixpoint. Pick up your Passport at the location you chose any day from July 1st through September 3rd,2017. Bring your Passport to each of the 41 participating locations any day from July 1st through September 4th, 2017 and choose one full pour draft or bottled beer from a local brewery (where available) or one (1) flight of four (4) 4 oz draft samples (where available) at each location. By purchasing the VIP Good Beer Passport you will get to sample 5 rare and new beers from 5 local breweries. A very limited amount of VIP Good Beer Passports will be available. To obtain the VIP Good Beer Passport, you must choose the option to pick up at the kick-off event. 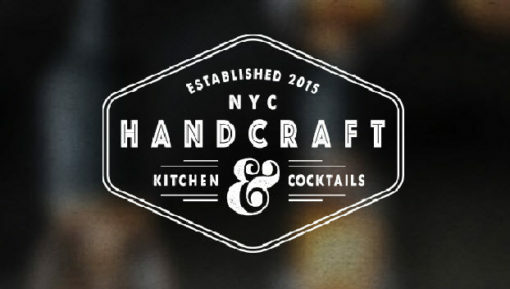 Passports purchased to be picked at the kick-off event must be picked up that day at Handcraft Kitchen & Cocktails between 6:30 p.m. – 8:30 p.m.